Showing 5 articles from September 15, 2017. WAKE FOREST, NC--Charles Cooke, Sr., 91, of 508 Rookwood Ct. died on Sept. 12, 2017 at his residence. He was born on April 3, 1926 in Frankilin County, NC to the late Richard and Ora Burwell Cooke. Charles attended Franklin County public schools until enlisting into the United States Navy. SAVANNAH--Sergeant Major US Army Retired James Franklin Smith, 87, of Savannah, died on September 13, 2017. He was born in Hagerstown, Maryland to the late Glomer and Lola Smith. He was preceded by death of two children: Donald Smith and Donna Temme. BUNN -- After a brief hiccup, the Bunn Wildcats appear to be hitting their gridiron stride at the right time. Bunn lost two of its first three outings this fall, but the Wildcats have bounced back with a pair of victories, with both coming in Northern Carolina Conference action. 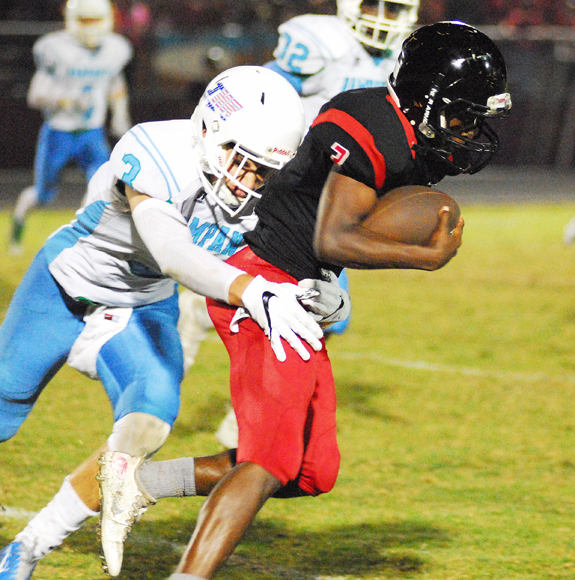 That streak continued Friday as the Wildcats used a strong second period to pull away from Oxford Webb en route to a 41-9 triumph at the BHS Football Field. FRANKLINTON -- For the second consecutive week, the Franklinton Red Rams found themselves in the thick of a tight game in the fourth period against a highly regarded opponent. But each time, the other team made a strong late surge -- and it was Greenville Rose's turn Friday night at the FHS Football Field. 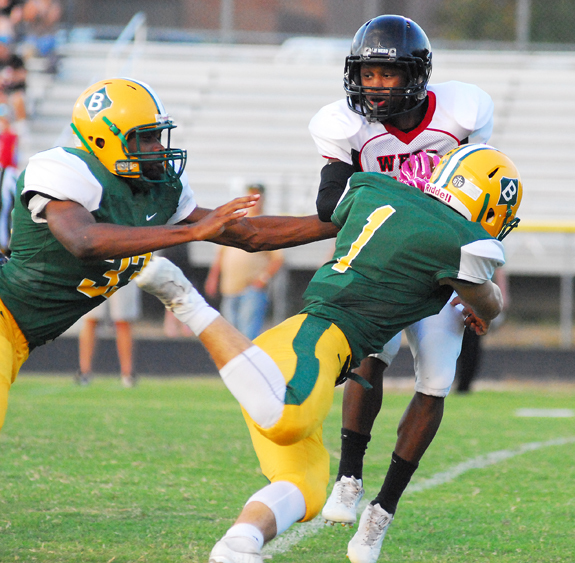 LOUISBURG -- Louisburg stayed in the game early, but visiting Roanoke Rapids would eventually prove to be too stiff of an opponent Friday for the Warriors at Patterson Field. The touted Jackets led by eight points after the initial frame, but Roanoke Rapids would pull away from there on its way to delivering a 48-14 decision in a Northern Carolina Conference football showdown.